Do you ever do music outside? I have taught many music time sessions outside. 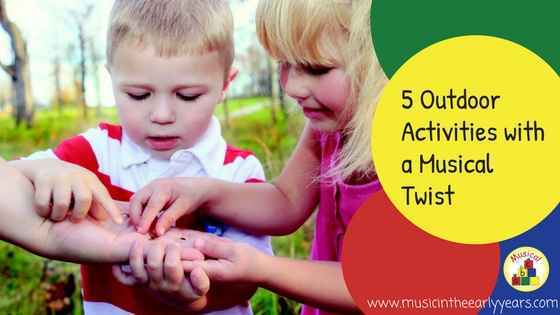 Here are 5 different activities that have a musical element that you may like to try. Bubbles to the tune of Twinkle, Twinkle.